As summer is ending, many children and families are getting ready to go back-to-school. Some other kids are getting ready to go to school for the first time!... It is a good idea to prepare for back to school. For some teachers back to school season is fast approaching, for others they are casually thinking about the next school year and mentally preparing a list of changes they want to make. Are you ready? Whether you�re the parent of a first grader or a college student, BACK TO SCHOOL can trigger a host of conflicting emotions. Some of you are clinging to the last remnants of summer while others are counting the days to freedom.... It is a good idea to prepare for back to school. For some teachers back to school season is fast approaching, for others they are casually thinking about the next school year and mentally preparing a list of changes they want to make. Are you ready? Whether you�re the parent of a first grader or a college student, BACK TO SCHOOL can trigger a host of conflicting emotions. Some of you are clinging to the last remnants of summer while others are counting the days to freedom.... 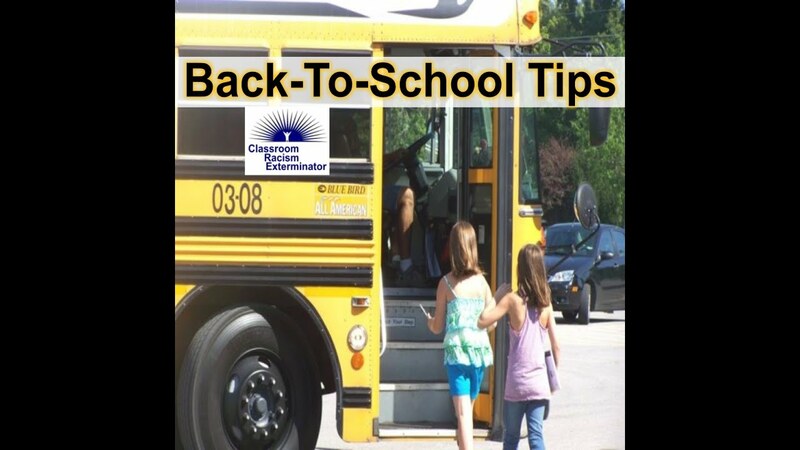 Tips on Preparing Your Family for a New School Year. Shorter autumn days lead to chaotic schedules filled with sports, activities, events, and other social obligations; and of course, the much anticipated first day of school. Maybe last year, you got a little tired of books and papers all over the place. And perhaps the kids weren�t getting their homework done before bedtime. 1. Establish a Sleep Schedule & Morning Routine. One of the top tips I always share with parents who have kids just starting school is to establish the school sleep schedule and morning routine a few weeks before the school year officially starts. Getting your kids ready for a new school year can be a lot of hard work. As summer comes to a close it will soon be time for early alarms, a rush to get ready, tantrums and hectic school runs. After a fun summer spent in the swimming pool and sleeping in on lazy days, it can often be a difficult transition for children when they head back to the classroom.